The title of this post could imply a devotion to writing so strong that a necessary few hours of sleep each night is the only thing that pulls me from the computer. The truth is much more pathetic. The act of writing (or typing, which may be an important distinction, explored below) tires me. When I sit down to the computer each day, the first keystrokes are often followed by a long yawn and watery eyes (I kid you not, just now when typing the preceding line, I actually yawned. It’s like yawns aren’t just contagious when seen visually, but are so too when seen typographically. There’s a novel in that idea, or a short story at least). After I shake away the apparent exhaustion, I get back into the words, the words, ttthhhheeee wooooooorrrrrrdddsssss, that’s what they feel like. Long stretches of mundane repetition. 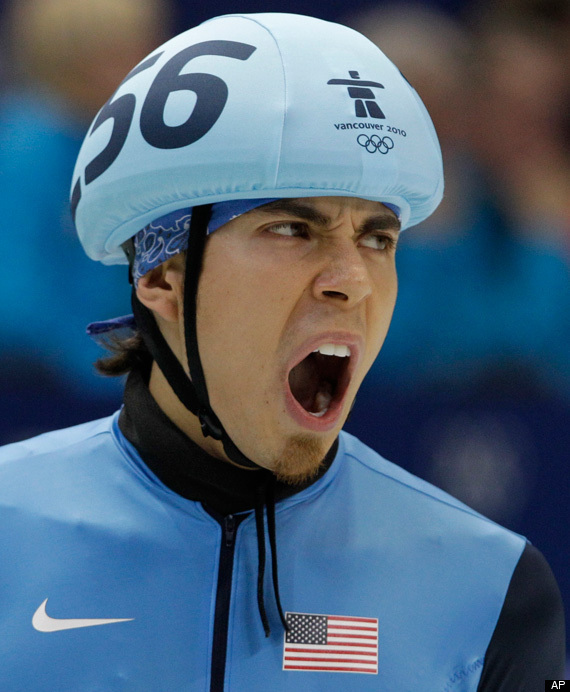 Sometimes I feel like Apolo Ohno before a race. Only his yawns lead to gold metals. My yawns lead to coffee and naps. I’ve thought at length about the reason for this strange affliction, but so far nothing makes sense. Perhaps the computer screen itself is the culprit. Maybe the click of the computer keys or the hum of my dying harddrive fan. Or the black letters, boring in their consistency. But none of that explains why writing on paper elicits the same reactions. If anyone has a cure, please tell me. Now, be honest: in the comments below, write how many times you yawned while reading this post. If I end up doing something with the typographically-influenced yawn idea mentioned above, then I could call this blog post research. This entry was posted in Guest Spot. Bookmark the permalink.